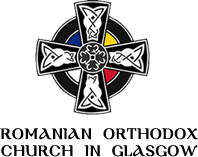 The Romanian Orthodox Church in Glasgow has been granted charitable status on 1st of June 2011, being registered as charity within the Scottish Charity Register. This was achieved following the sustained efforts of the committee members of the Orthodox Parish “The Presentation of Our Lord” from Glasgow ministered by Rev Fr Marcel Oprisan. To support the organisation of religious, cultural and philanthropic activities according to Scottish Law and the traditions of the Orthodox Church. To provide spiritual support to other Orthodox communities in Scotland, regardless their nationality. To advance citizenship through the promotion of equality and diversity and the advancement of the arts and culture. The religious activity is, of course, a central objective of The Romanian Orthodox Church in Glasgow Charity, serving the community and preaching Christianity fundamental values: peace, love and mutual assistance between people. Our church, part of the Archdiocese of Western and Central Europe, is organized according to the Romanian Orthodox Church standards. The Charity is involved in the catechises of children, youth and adults, through Sunday schools and they will be taught catechism and the foundations of Orthodox faith, but placing an emphasis on special knowledge of other religious beliefs.